is the non-invasive technology that allows the numerical reconstruction and visualization of the electrophysiological heart activity from the ECG data measured on the body surface. 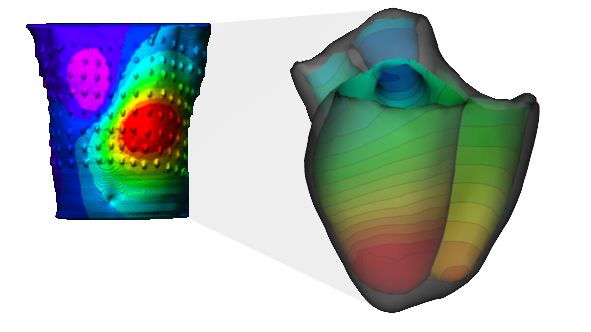 Example of body surface potentials (left) and non invasive reconstruction of endocardial isopotential map (right). ECGI clinical application includes pre-operative diagnosis of complex heart rhythm disturbances, therapy planning, monitoring as well as follow-up. Detailed topical and electrophysiological diagnosis helps the optimization of therapy and reduces intra-operative time, risk of complications, fluoroscopy time, and accordingly patient and personnel radiation exposures are minimized. Helping the optimization of cardiac resynchronization therapy provides another area of applications improving immediate as well as long-term results of therapeutic intervention. Correlation of venogram images, scar distribution and activation sequences can help plan the optimal LV epicardial stimulation site. Post-procedure evaluations, repeated resynchronization assesment. Click on images to see the video. Combined Electrophysiological Mapping and Cardiac Ablation Methods, Systems, Components and Devices. Customizable Electrophysiological Mapping Electrode Patch Systems, Devices, Components and Methods. Systems, Components, Devices and Methods for Cardiac Mapping Using Numerical Reconstruction of Cardiac Action Potentials. 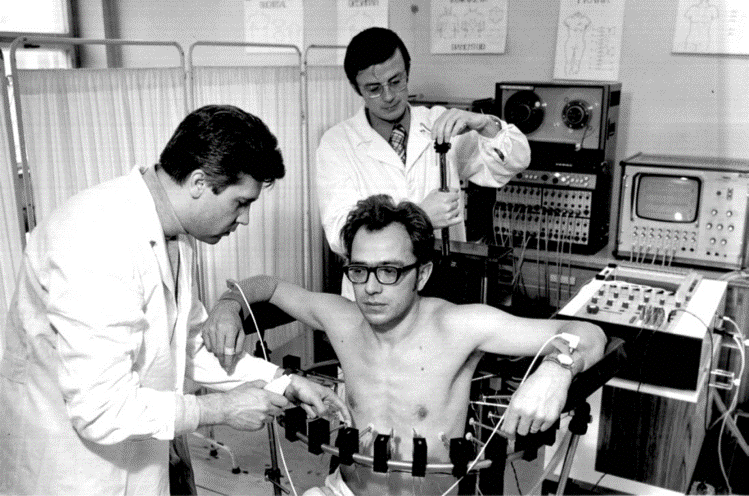 Method of noninvasive electrophysiological study of the heart.